The great days are easy. The difficult days need a covenant. Marriage is easy when it’s convenient. The moments it isn’t are why it is sealed as a covenant. 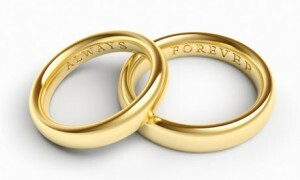 The prophet Malachi referred to the woman as both “the wife of your youth” and “your wife by covenant” (Mal. 2:14). There is a reason it is both. Youth does not last. I recall going to the church gymnasium the day of our wedding and dunking a basketball. The thought of being married was making me feel old-er … and I just wanted to remember that at the ripe old age of 23 I could still dunk a basketball. Guess what. I can’t dunk a basketball any more. (Insert gasp!) My hairline isn’t the same either. Furniture disease is taking over: my chest is falling into my drawers. Age spots are increasingly joining hands so I at least look like I’ve got a tan in a few randomly placed locations. Time and gravity are not our friends. A professor of theology at the seminary from which I graduated reported that recently his wife looked at him and said, “Do you realize there’s seventy pounds of you that I’m not even legally married to?” Time and gravity go to work on both the husband and the wife. Neither of these powerful forces seeks our permission. But it’s more than time and gravity. It is the sheer pressure of change. Time wreaks havoc not only on the body, but it’s passing brings changes to your mind, and the way you think … your emotions, and what you feel … your will, and the choices you make … your personality, and the way you relate … your values, and what you cherish … your dreams, and what you hope for … your goals, and what you pursue. Those changes mean that on your fifteenth (or pick any other number you wish) anniversary you’re not married to the same person you wed on that special day. We are not statues carved from stone, but malleable, every-changing, soft-clay beings constantly being formed and reformed by God Himself (hopefully! ; 2 Cor. 3:18) or, if not by Him, by the pressures of life (Rom. 12:2a). That is one reason marriage is a covenant, for it holds you in place when you might be tempted to run another race or to chase another face. A covenant keeps you together because it’s there that you find grace … smack in the middle of a covenant that was always intended to be an earthly depiction of another, greater covenant (Eph. 5:25-32) which is fundamentally all about grace. Break the covenant and be a poorer man for it. Choose the covenant and discover grace, under the sometimes uncomfortable, inconvenient circumstances. 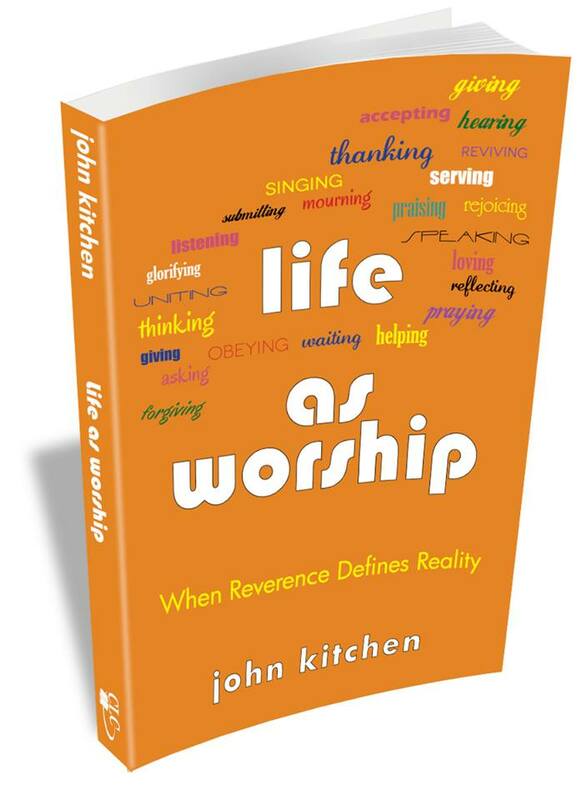 I’m giving away 4 copies of my newest book, Life as Worship! There are two conditions and one test. 2) Within four weeks of receiving the book you’ll post an honest (but not necessarily positive) review on Amazon.com and at least one other social media site (e.g. Goodreads.com; Christianbook.com). The test: In most major, modern English translations of the Bible, where is the first use of the word “worship” and who is doing the worshiping? A copy will go to each of the first four people to comment with the correct answer. Once the winners have been determined, please, no begging for additional copies! PS — To those of you who have already read the book, please post a review(s) online! Your review is powerful in helping others decide whether or not to purchase and read the book. UPDATE: We’ve got four winners … with a little grace to a couple of entrants … one sent in the answer via smoke signals (OK, it was on Facebook) and one only gave only the first half of the two-part question, but once you’ve got the correct reference the “who” is pretty easy. We’ll call it good. Thanks for your interest! Humans are worshipers by default. Worship is a reflex. By an inbred necessity of the heart, we adore, sacrifice, praise and give ourselves away in worship. We were created for this. The Fall didn’t remove the worship-impulse; it scrambled it. It didn’t obliterate worship; it changed the object of our worship.When Adam and Eve turned from worship of God to devotion to their desires, they cast the mold for all their descendants. John Calvin had it right with regard to the human heart: it is “a perpetual forge of idols.” Look around. Look within! It’s hard to argue with him. Worship is everywhere, idolatrous though much of it is.